The Financial Industry Regulatory Authority (FINRA) has continued to enforce advisor violations with strict measures. An advisor from Darien, Connecticut has found himself on the wrong side of the law after failing to provide prior written notice, and obtaining firm approval, before engaging in securities sales outside of his firm. According to FINRA’s findings, the broker failed to provide prior written notice to his firm before selling $600,000 of convertible promissory notes. Further, he provided written notice to his firm only after he had conducted informational investor presentations and completed sales to accredited investors. The broker invoiced the issuer for his services prior to informing his own firm of the transactions. Additionally, the findings also indicated that the presentation to investors contained information that was considered both misleading and exaggerated. Furthermore, the broker failed to provide a meaningful risk disclosure. Certain versions of the investor presentations contained a legend referring potential investors to a private placement memorandum that did not exist. Finally, both the presentation and the email correspondence failed to mention the broker’s firm, the issuing firm, or the broker’s relationship to either firm. FINRA relies on the organizational policies and procedures of member firms to ensure that investors are protected from fraud and misrepresentation. When a broker operates outside the boundaries of his or her firm, the organizational structure is compromised and advisors can both willingly or unwillingly undermine the safety of investors. For this reason, FINRA does not take lightly violations of the kind. 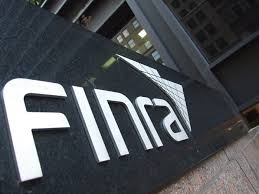 This Broker was fined $15,000 and suspended from any associated FINRA member firm for three months.